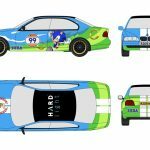 SEGA HARDlight will be revving their engines this weekend! 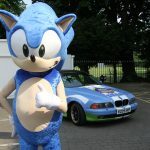 A team from the company behind the mobile app Sonic Dash will be taking part in the Twin Town Challenge 2018 using their Sonic Dash car, a refurbished 1999 BMW 528i. 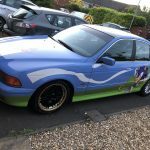 The race sees 100 cars, comprised entirely from suped-up “bangers” purchased for £500 or less, drive from Oxfordshire in the UK to Le Touquet, France, all the way taking part in challenges. 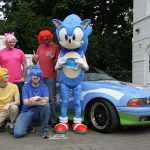 All competitors raise money for SpecialEffect, a charity who specialise in developing gaming technologies for disabled children. 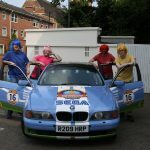 More details of the race can be found on the Twin Town Challenge website. 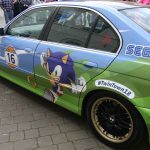 You can support the team by making a donation via their Just Giving donation link…and if you’d love to own the “Dash-mobile”, the car will be auctioned after the race with the proceeds also going to charity! 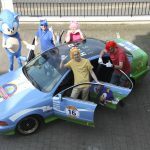 Check out the gallery below for some images of the car and the team before they set off on this wacky race!